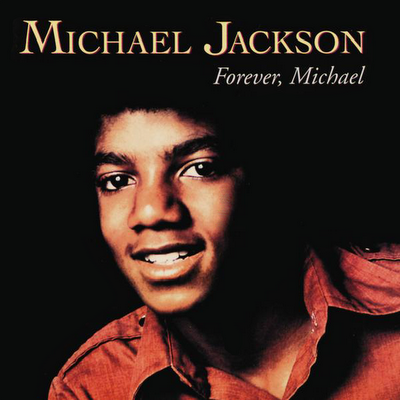 1975 - Michael's fourth solo album, Forever, Michael, was released. This album was his final new studio album for Motown, came nearly two years after its predecessor, Music and Me. The album displayed a change in musical style for the sixteen-year-old, who adopted a smoother soul sound that he would continue to develop on his later solo records for Epic Records, but lacked the contemporary dance style that characteristic to Jackson 5ive. Most of the tracks were recorded in 1974, and the album was originally set to be released that year. However, because of demand from the Jackson 5's huge hit Dancing Machine, production on Jackson's album was delayed until the hype from that song died down. The album, with the length of over thirty minutes, is credited as having material with R&B, pop, soul and pop rock material. Edward Holland, Jr., Brian Holland, Hal Davis, Freddie Perren, Sam Brown III served as producers to Forever, Michael. The album helped return Jackson to the top 40, aided by the singles We're Almost There and Just a Little Bit of You, both written by the Holland Brothers (Eddie and Brian) of Holland–Dozier–Holland. This is the only Michael Jackson studio album that doesn't share a name with one of the songs on the album. Unlike Jackson's previous studio albums released within the 1970s, the album was not commercially successful worldwide. Although it did shift nearly 100,000 copies in US more than MUSIC & ME. The album's sales were so disappointing that it became the final straw in the deteriorating relationship between the Jackson family and Motown records. Chartwise, FOREVER, MICHAEL peaked at #10 R&B and #101 Pop in US and failed to register in the UK – Michael's worse showing to date. The brothers, and Michael in particular, had been disappointed in the label's recent lack of support, and their refusal to let band members contribute song material. Joseph Jackson, convinced that his sons’ careers were being held back by Motown, began to look around for a better deal. 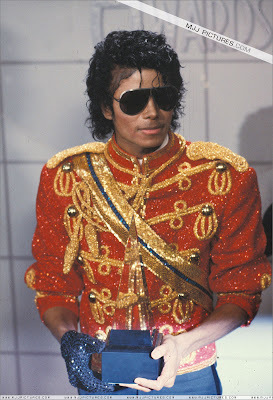 1984 - Michael Jackson won for the first time in the history of the American Music Awards 8 of the desirable trophies. The accolades began with his sweep of the 11th annual American Music Awards on Monday night, January 16th, winning a total of eight awards, including a special merit award. Michael received a record breaking ten nominations for the American Music Awards. THRILLER was nominated for Best Pop Album, and Best Soul Album. Billie Jean was nominated for Best Pop Single and Best Soul Single. Beat It and Billie Jean were both nominated for Best Pop Video and Best Soul Video. And finally, Michael was nominated for Best Pop Male Vocalist and Best Soul Male Vocalist. Michael attended the award ceremony accompanied by Webster star Emmanuel Lewis and his date for the evening was Brooke Shields. He was dressed for the occasion in a red Sergeant Pepper-style military style jacket covered with red sequins, cropped tuxedo pants, black aviator glasses, with a single black sequin glove; an appropriate uniform for what, considering the scope of his popularity, equated to the showbiz variant of a coronation. Michael approached the podium 8 times that night to accept awards, a new record. 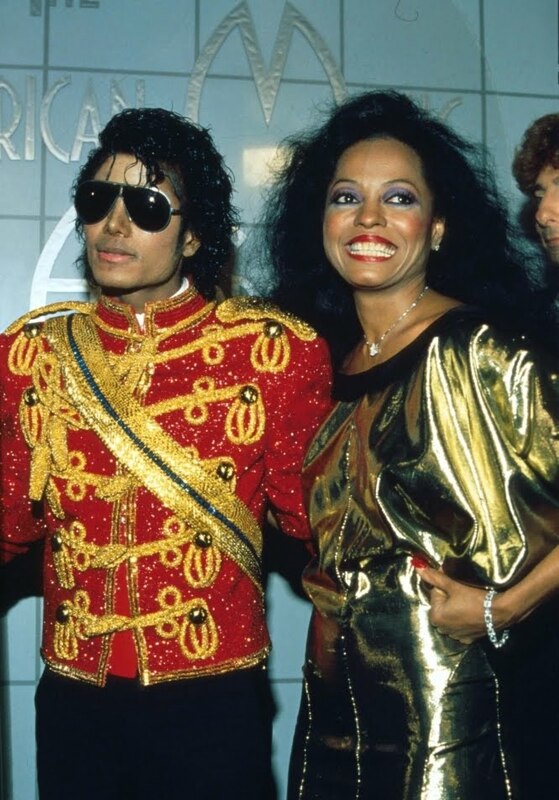 THRILLER was named Best Pop Album and Best Soul Album. Billie Jean won as Best Pop Single, and Beat It was named Best Pop Video and Best Soul Video. 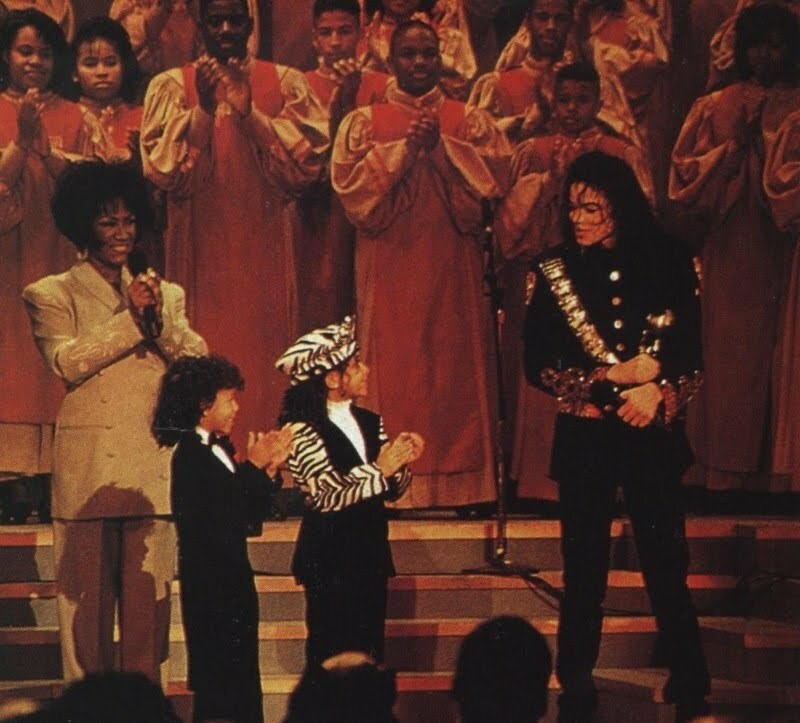 Michael took top honors as Best Pop Male Vocalist and Best Soul Male Vocalist. Michael, I can't tell you how many times I've studied your tapes, trying to figure out what it is you do. I've decided you are a miracle. You have so much talent, the more you give of it, the more you seem to have. I'm so proud of you... and so proud to be your friend. 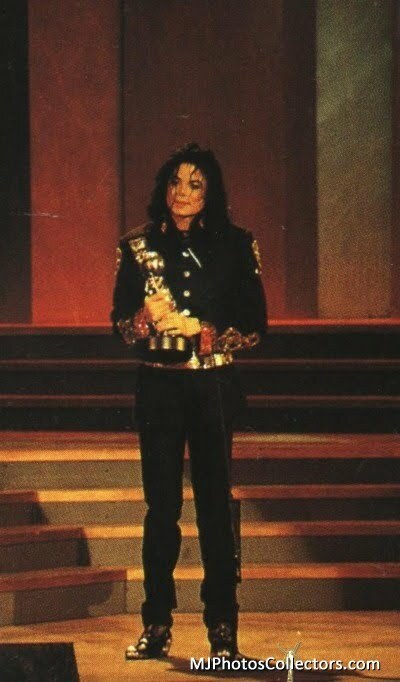 Winning the award at age 25, Michael is the youngest performer to ever receive the Award of Merit. On winning the Favorite Soul Video award for Beat It: “This is wonderful. [To La Toya] Come here.. This is my sis.. oh, Bob Giraldi! [laughs] [who joins him on stage]. This is my sister, La Toya, I’m so honored she’s here, I didn’t know she was gonna bring this award. Working on ‘Beat It’ was a great experience. I had so much fun doing it, and this is my director, Bob Giraldi, whom I chose to be… I’ve put all my heart and my soul in my work and I’m so happy and honored that I won this wonderful award. Thank you.”, declares Jackson, more excited with each new award. For Favorite Pop Video – Beat It, he is joined again on stage by director Bob Giraldi. “Again, I’d like to thank everybody. I’m so moved and so honored again… Thank you very much. I love you all. And one more – thank you, Michael Peters, you’re a wonderful person. Thank you.”, says Jackson. On winning the American Music Award for Favorite Soul Male, the entertainer declares: “Again, I’m deeply moved and I really appreciate it, and the girls in the balcony, I love you, you’re wonderful. [laughs mildly] An important – an important chemistry in writing a song is inspiration and I’m holding one of inspirations – Emmanuel Lewis [best known for playing the title character in ‘Webster’].”. 1993 - Michael attends the NAACP Image Awards with Katherine in Pasadena, California. 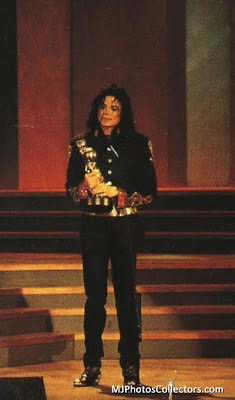 Michael Jackson is presented with the 'Outstanding Music Video Award' for the socially conscious song, Black Or White. He also receives the '25th Silver Anniversary Entertainer Of The Year Award' at the 25th "National Association for the Advancement of Colored People" event (NAACP Image Awards). Michael Jackson, Entertainer of the Year, brought down the house just standing on stage. The crowd didn't let him get away -- "I wasn't prepared to sing," he protested, till Patti Laell struck up his tune. And of course, he had to oblige. Patti Labelle sings "Will You Be There" with Michael joining for the last verse. "First I’d like to say ‘Thank you’ to my mother. Thank you for giving me life — I really mean that. There are two things which the NAACP stands for which are the most important things in my life: freedom and equality. In every person, there is a secret song in their heart. It says: ‘I am free!’, it sings: ‘I am One!’. This is the natural feeling of every child. To be free as the wind, to be one with every other child. All the troubles in the world are caused by forgetting this feeling. And when I perform, my connection with people is to just remind me of that: to be free and to be One. In this spirit the NAACP has done its cherished work. I accept this award on behalf of the world’s healing. When all our brothers and sisters will be as free and equal as we are today. I love you so much and I am very honoured, and thank you for this award. 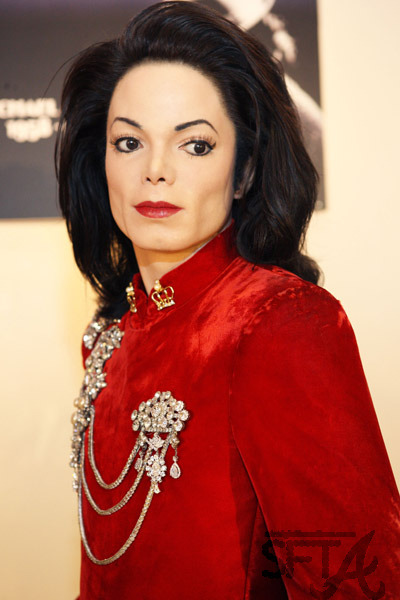 Michael Jackson's new wax figure is unveiled at Madame Tussaud's Wax Museum in New York City. Special guest and living legend Dame Elizabeth DAME ELIZABETH joined Larry King for an exclusive interview. Dame Elizabeth talked about her extraordinary life and career. Larry asked Dame Elizabeth about her friendship with Michael Jackson. Please find below part of the transcript taken from this interview as reported on CNN's Website. LARRY KING: The friendship with Michael Jackson. DAME ELIZABETH: No! Why do you say that? DAME ELIZABETH: No. We were both child stars. DAME ELIZABETH: ... the soundstage. We would go home. I, in my case, I would learn my lines, learn my homework, get up early in the morning. I would go out to the polo field, where they had 40 jumps set up, and to get some of my steam off as a little girl I would take 40 jumps before I would go into work. DAME ELIZABETH: Yes and get his steam off dancing. LARRY KING: But we don't -- we know you. Look at you. We don't know Michael, do we? LARRY KING: What don't we know about him we should know? DAME ELIZABETH: He reaches out. I've been to the Orient with him. And he says: "Roll down the window! Roll down the window!" He reaches his hands out and just touches a baby's face. Oh, you beautiful thing, and he just wants to give that baby everything, his life. He'd give him all his money if he could, and the car keeps on moving. And he'll turn back: Oh, look at that baby. LARRY KING: We'll get a break and come right back with Dame Elizabeth, Elizabeth DAME ELIZABETH. What -- what a life! This entry was posted on 16 January 2011 at Sunday, January 16, 2011 and is filed under 1975, 1984, 1989, 1993 . You can follow any responses to this entry through the comments feed .